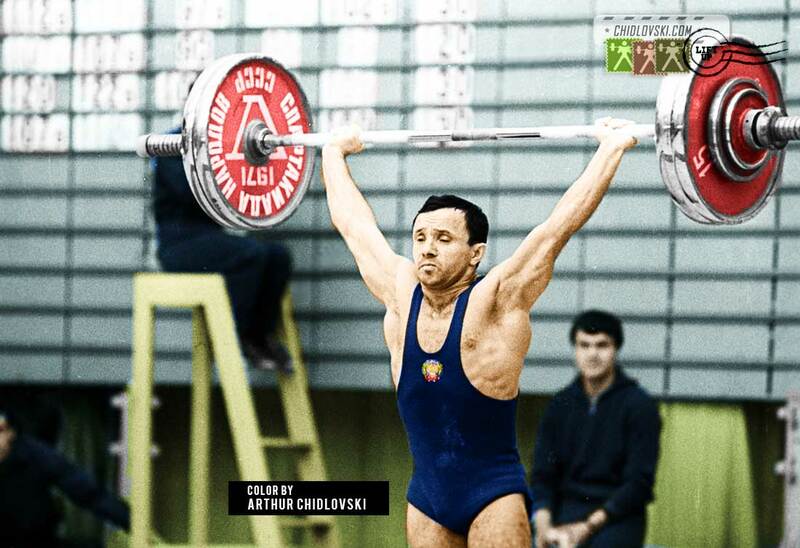 Gennady Chetin (1943-2002) competed in the bantamweight class. He was the World champion (1971), 5-times USSR champion, (1968, 1969, 1971, 1972, 1976) и the USSR Spartakiad Games champion (1971, on the cover photo). He was the bronze medalist of the 1972 Olympics in Munich and set 3 world records in his career. All three records were in total.